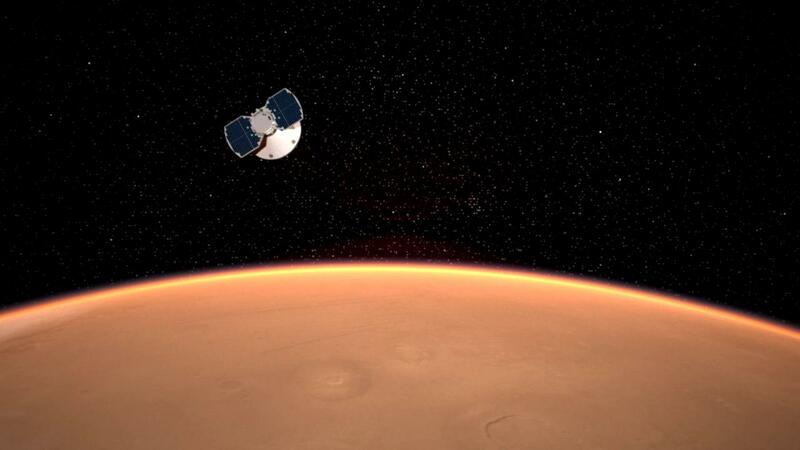 But as with all Mars landings, InSight’s fully automated descent 90 million miles away will take place far beyond any direct control — or help — from engineers on Earth. In fact, it will take radio signals 8.1 minutes to make their way to the Jet Propulsion Laboratory in Pasadena, California, where anxious scientists and engineers will be waiting to find out whether the spacecraft made it successfully to the surface. 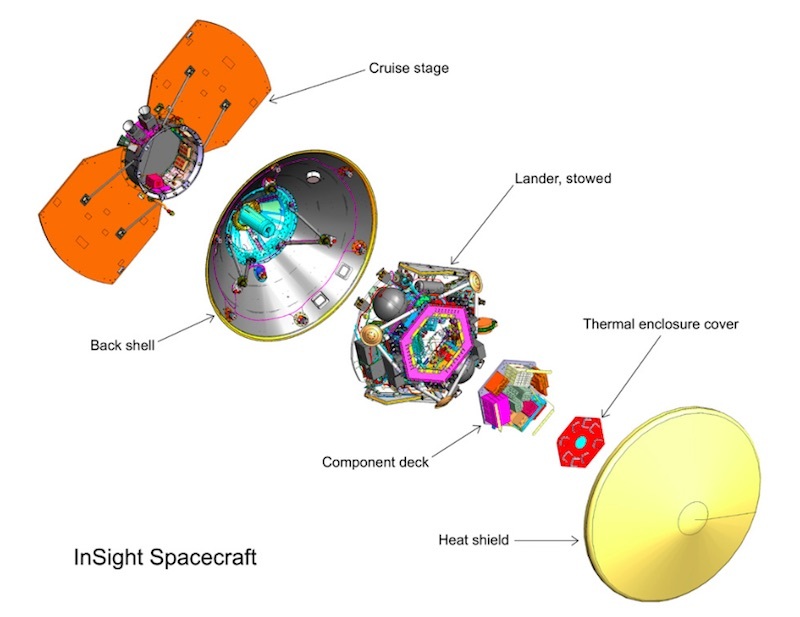 Nestled inside a flying saucer-shaped “aeroshell” and protected by a state-of-the-art heat shield, InSight will begin its plunge at around 1947 GMT Monday, enduring braking forces up to 7.4 times the strength of Earth’s gravity as it rapidly slows down and heats up to around 2,700 degrees Fahrenheit. 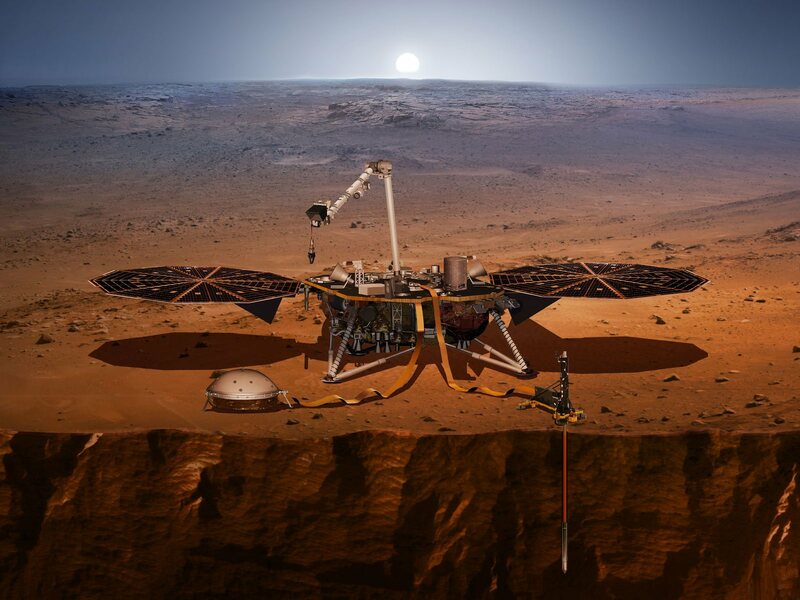 Nulling out its horizontal velocity and slowing to about 5 mph, InSight is expected to touch down on Elysium Planitia around 1954 GMT, roughly 2 p.m. local time on Mars.